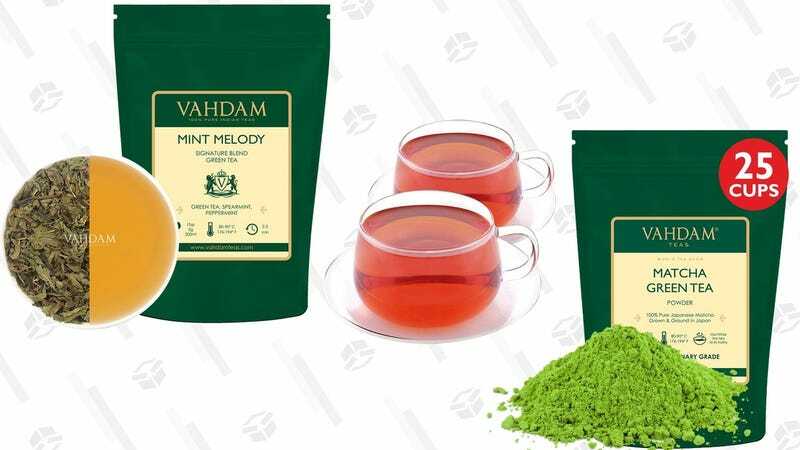 Amazon’s latest Gold Box is full of things to make you feel good about yourself, notably various teas, matchas, tumerics, and combinations thereof from Vahdam. It’s all got great reviews, and it’s all under $20. But like all Gold Box deals, these prices go back up at the end of the day, so don’t let it steep too long.